First and foremost, thank you to all the troopers who continue to contribute to the Field Training Exercises. I have loved reading through these reports, as much as I enjoy our Detachment Newsletter. This past month of reports has made my job very tough, as so many exemplify why we volunteer for the Legion. Keep these photos and stories coming Troopers as well as a big salute to you all!!! This past month has been filled with some absolutely phenomenal troop reports! If you haven’t done so already, I highly encourage everyone to check out the epic experiences had by all - Bricktober, The Last Jedi Trailer at Half-time, Run for the Cure, Micheal Giacchino's 50th Birthday, Libracon, Naha Parade, and so many more. This month, I would like to recognize a photo that speaks volumes. A very busy November for Field Training Exercises, with a plethora of great photos and Trooper Reports! 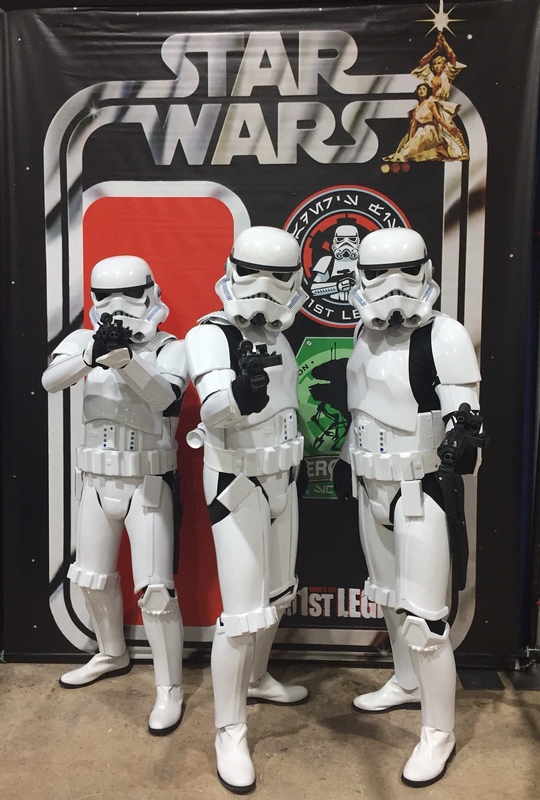 This month we had Troopers celebrating their “First Troops”, The JDRF One Walk, Battlefront II Release Days, Kids Expo, Star Wars and the Power of Costume, and a special Veterans Day / Remembrance Day Stormtrooper Hall of Fame Thread to recognize our military members. 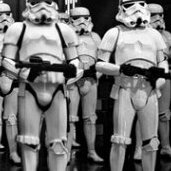 You Troopers have made it very difficult choice yet again, on picking the next one of you to be recognized in the Stormtrooper Hall of Fame. 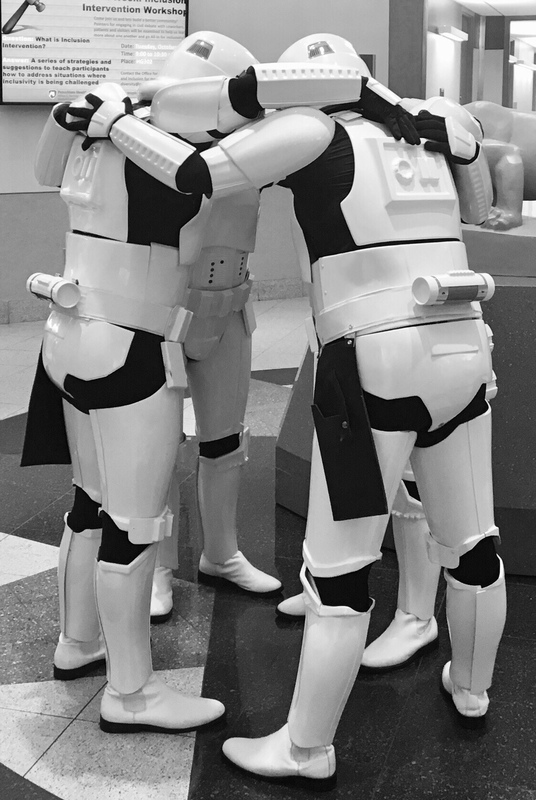 One of the most impactful photos that caught my eye this month shows exactly what Trooping is all about. ATTENTION TROOPERS!!! 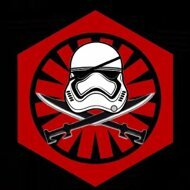 WANTED: “The Last Jedi Troop Photos” by TK - 85421!!! 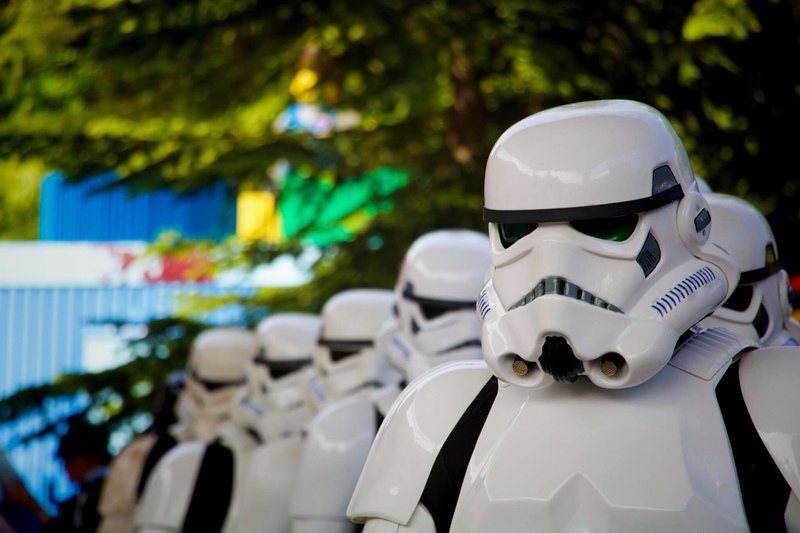 One of those posts could be our next lucky inductee to the Stormtrooper Hall of Fame! 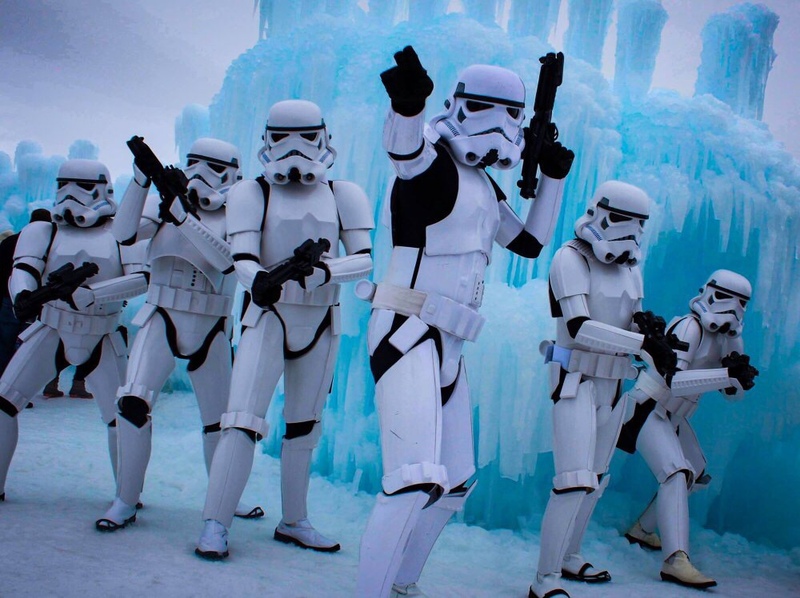 Rock-on Troopers, Rock-on and a salute to you all! 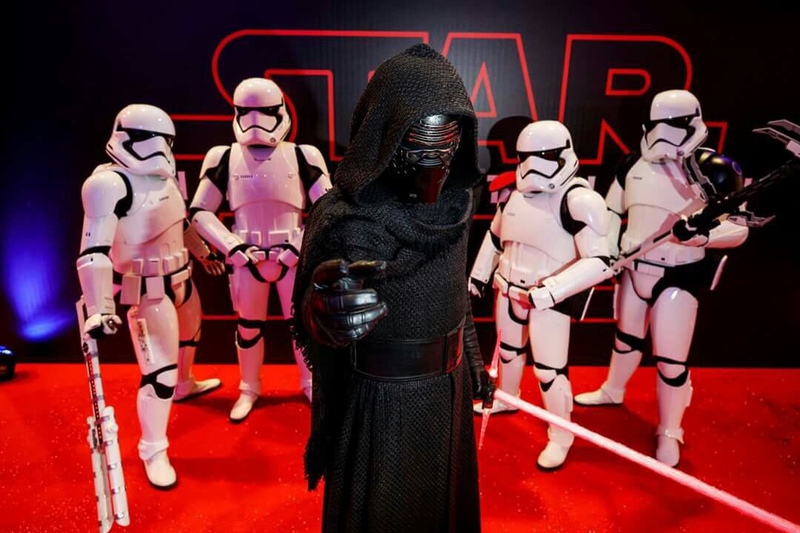 What an absolutely epic month with the release of “The Last Jedi”, and the buzzing that came about from it. Looking through the pictures you could see the energy in the field report pictures, and some great write-ups making for an awesome read for all to share in the experience. This month honoring TK - 6049 Colin for this phenomenal photo on his premiere night in Dublin. I’m sorry but was January a Jedi Mind Trick - just like that it has come and gone. However thanks to our Troopers and their Field Reports, we actually have something to look back on! This month there was a lot of “Bad guys doing good”, and one photo in particular caught my attention. There has been some absolutely stellar reads and pictures submitted the the Field Training Exercises this month, and my continued thanks to all who continue to share and inspire us with their stories. 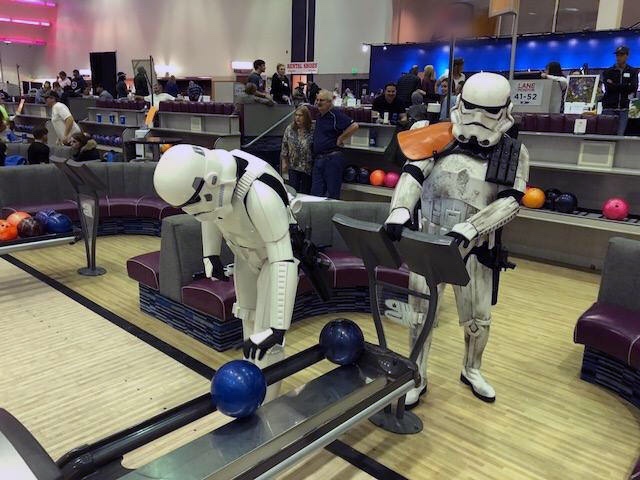 This month, honoring TK-82666 Mike who shows the reward for what we do - way to go Trooper and continue to personify “Bad Guys doing Good”. Absolutely phenomenal pictures rolled in this month, with no pun intended for the member being inducted into the Stormtrooper Hall of Fame. Redefining The Empire Stiiii-rikes Back! 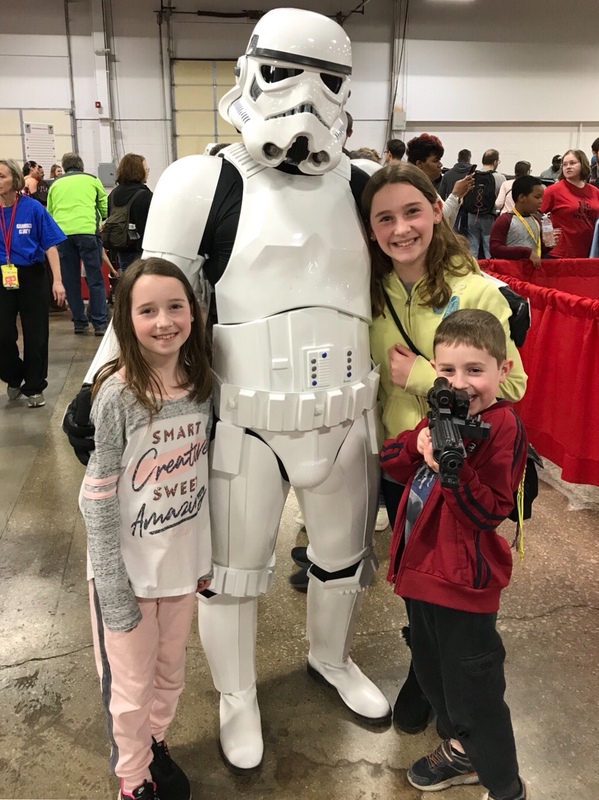 Wow - it looks like April was the month for Trooping filled with non-stop field reports, some phenomenal photos, and those troops that get you right in the heart strings. It made it incredibly difficult once again to pick one of you to honor into the Stormtrooper Hall of Fame - as a matter of fact I had to spend the last couple of days going back and forth. I want to take a moment this month to sincerely thank everyone for their amazing contributions to the Field Exercises. Each month since becoming the curator, I’m seeing more and more reports come in sharing some truly phenomenal moments for us to share. You are all deserved of a salute and a big ol’ hugging handshake. This Trooper is definitely no stranger to us all. 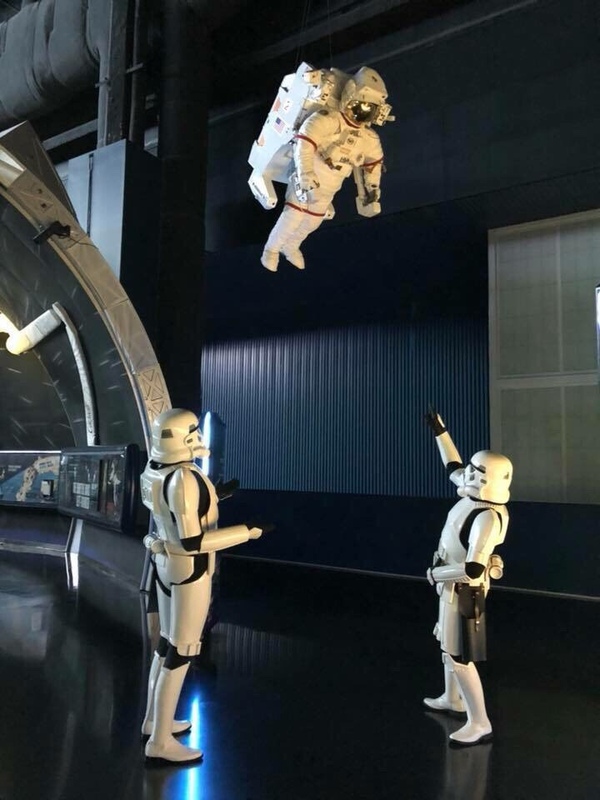 With that being said, I normally try to recognize pictures from Troopers new to the Field Training Exercises or have not been inducted yet - making it very difficult for those who have already earned their place in the Stormtrooper Hall of Fame to be honored again. However this time, I feel this recipient should be recognized for his ongoing efforts not only in the Field Training Exercises but also for his contributions throughout this Detachment and within his own Garrison. ... Yes I’m looking at you through my bubble lenses Glen. Please join me in Honoring TK - 85421 Glen “Q” - now a 3rd Time recipient of the Stormtrooper Hall of Fame Award. With warm weather finally upon us and bucket fans buzzing - the field Reports are on fire this month! So let’s get right to business! 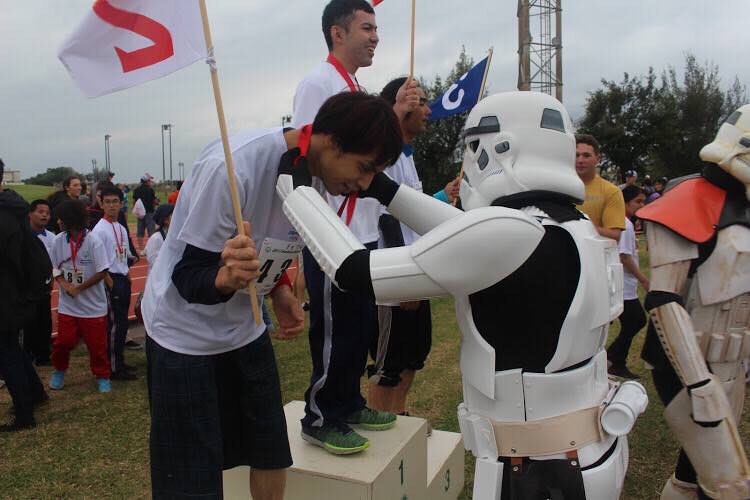 This month please join me in welcoming TK - 55550 Daniel to the Stormtrooper Hall of Fame! Another month come and gone so quickly, and what to show for it? The answer: Nothing but smiles! Such is the case for this month’s inductee into the Stormtrooper Hall of Fame. 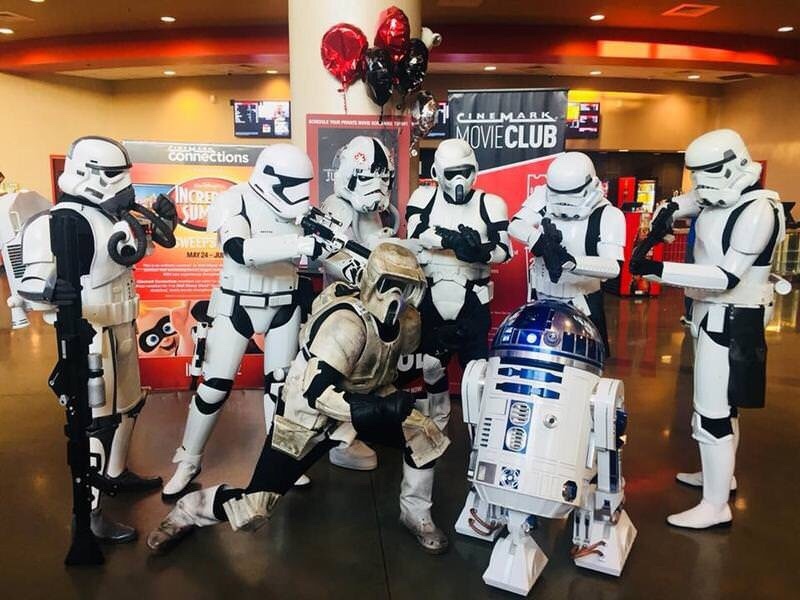 This month honoring TK - 75139 Frank - keep up the stellar job Trooper! Well with the summer on it’s way out (for some of us), this month’s inductee couldn’t have caught a better back drop for this photo! Please join me in welcoming TK - 94616 Carl Ray to the Stormtrooper Hall of Fame. Every month it is really great privilege to read through and live vicariously through other Troopers field reports. This month join me in welcoming TK - 6306 Alan to the Stormtrooper Hall of Fame! The past month is my favourite time to read the troops - with Halloween you know there is going to be some epic shots. It was a very challenging process narrowing everything down to just two photos to pick from for this months Hall of Fame inductee. 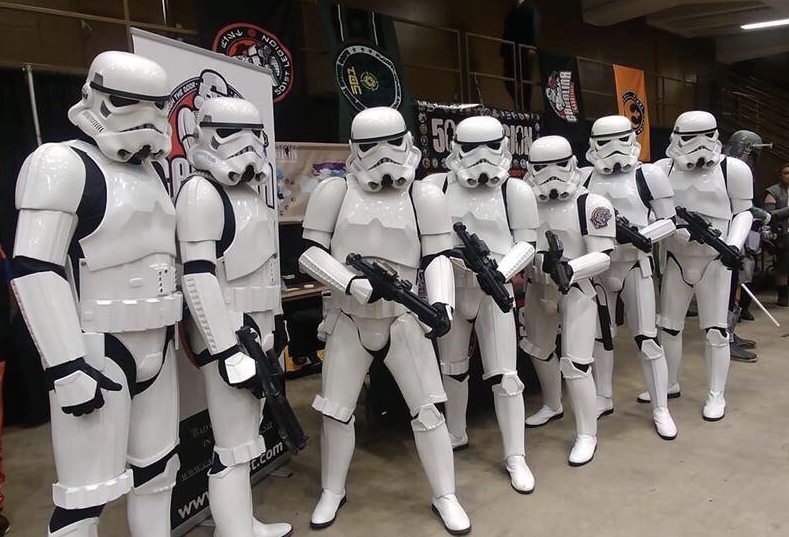 This upcoming month there is a special “Veterans Stormtrooper Hall of Fame” where I would like to once again invite all of those Troopers out there that are serving or have served in the military to submit photos and be honoured. Can’t wait to see what next month will bring to the Field Training Exercises - rock on Troopers! With the winter weather starting to roll in, a lot of us are putting in our transfer chits to Scarif. How better to spend the time waiting with my TK Boots propped up on a foot stool, coffee, and this month’s Field Exercise Reports - envious of those not having to wear their thermals under their armor. This month I would to welcome a Trooper who I joined the ranks with a couple of years back, developed one of the first TK audio apps, a fellow Attaché, and one of the many foundation posts that continues to support our great Detachment. Congratulations Trooper and welcome to the Stormtrooper Hall of Fame! Last month’s submissions to the Field Exercises was tremendous! It was great to see more new buckets sharing their holiday expeditions, making smiles, and warming the hearts in the season of giving. Even for me, the big ol’ jolly Santa Claus was starting to question his apparel with us having less screaming younglings and more hugs. This month we honour TK - 82214 Zac with his mic drop photo for St. Nick - never underestimate the power of the dark side big man. Who says time doesn’t fly - you look one way and by the the time you look back a month is gone. Redefining unquestioned loyalty, and the question of when the Snow Trooper rotation will take place, join me in honouring TK - 42775 James. I have decided to change things up. I have gone back through our field reports not only from the past month but all of our field training exercise reports. There are a lot of submissions that are still some major contenders for recognition, such as this month’s recipient. Troopers please join me in welcoming TK - 17529 Eric to The Stormtrooper Hall of Fame!